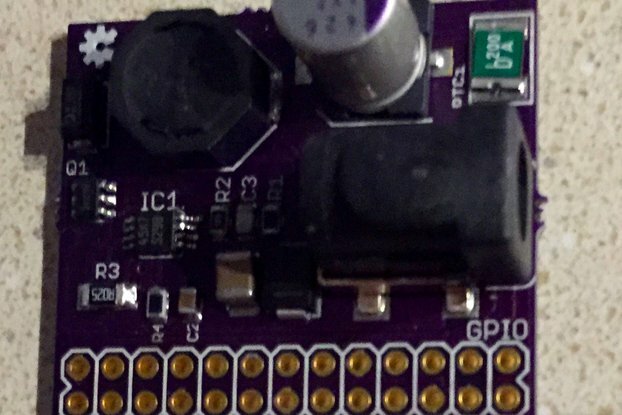 A Raspberry Pi GPS and sensor HAT with uninterruptable power supply for use with nautical chartplotters like OpenCPN. With the Raspberry Pi, the original 7″ touchscreen and the open source navigation software OpenCPN, a chartplotter for motor boats and sailboats can be built, which is considerably cheaper as comparable professional devices at the same operating range. On the water external power supply adapters, loose sensor boards and breakout cables are not the best solution. Furthermore you have the risk of an outage and data lost or even the SD card gets corrupted. 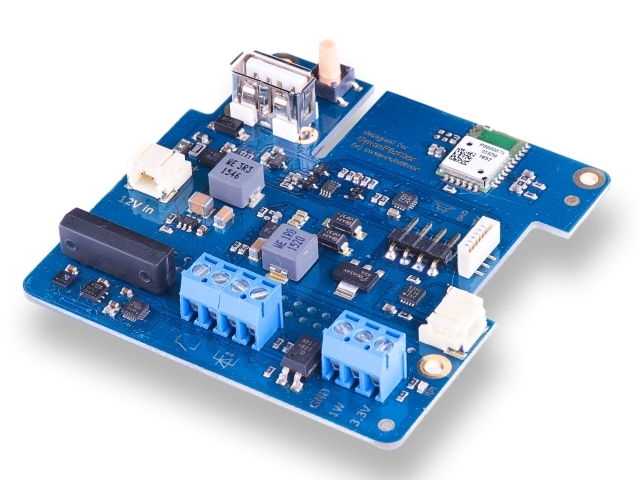 The OpenPlotter HAT is an extension for the Raspberry Pi, which enables direct connection to the 12 V supply system on board and provides an uninterrupted power supply through a lithium battery. 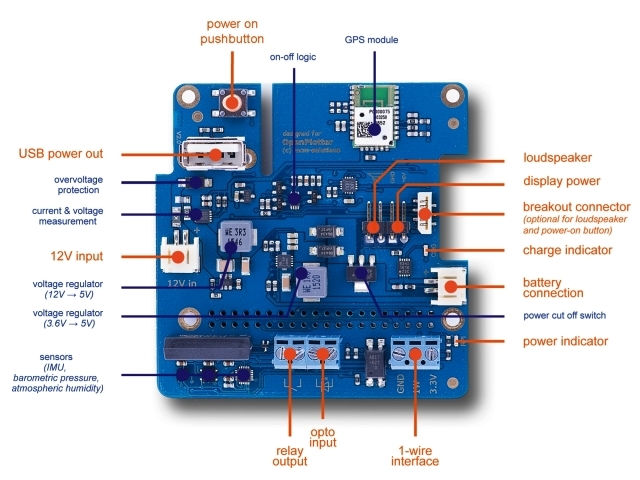 In addition, a GPS module and sensors such as compass, gyro, air pressure and humidity are installed. A Class-D audio amplifier allows the direct connection of a loudspeaker, a reed relay and for extensions there is an optically isolated input available. Several temperature sensors, e.g. for monitoring motor or water temperatures are via the 1-wire interface connectable. A mobile phone or tablet can be charged via the additional USB socket. This works even when the Raspberry Pi is in standby and its own USB sockets are switched off. 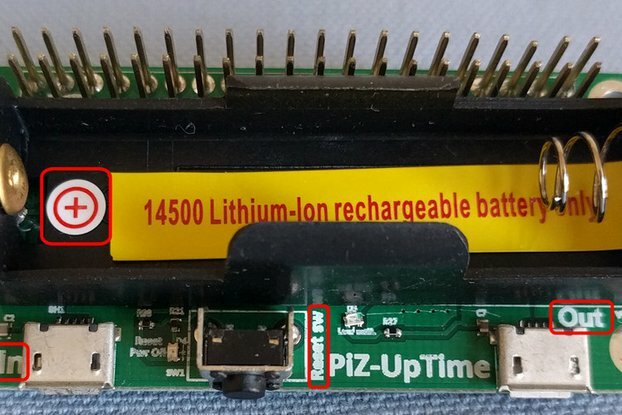 A Raspberry Pi typically consumes approximately 80 mA even in standby. 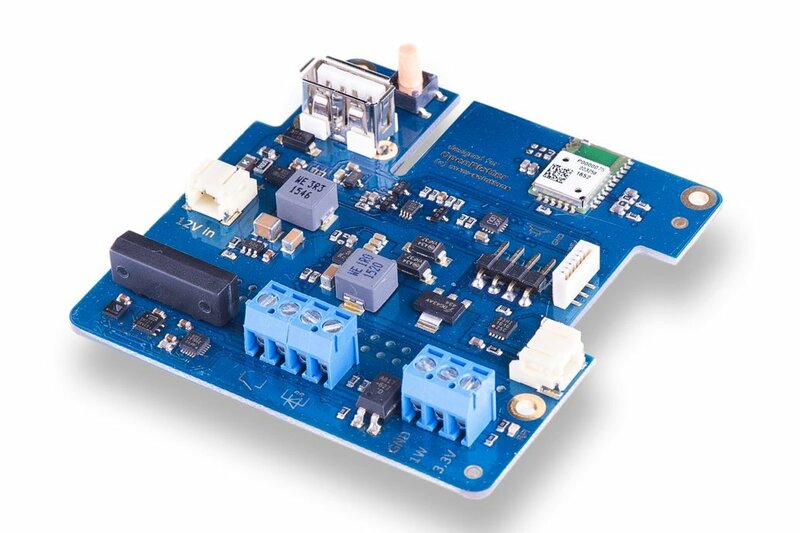 In order to preserve the supply system on board, our on-off logic detects the idle state of the Raspberry Pi automatically and turns off the power completely. 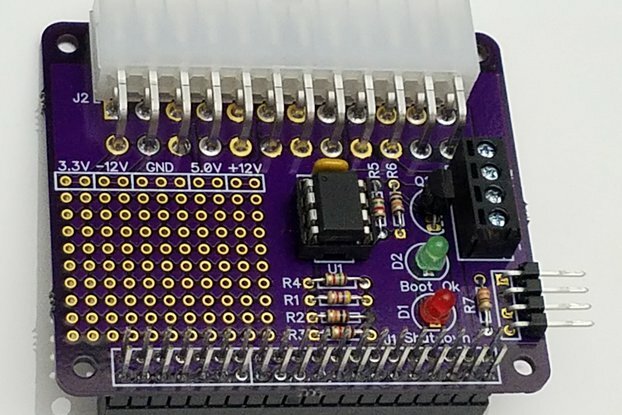 Our board is designed precisely fitting the OneNineDesign case and is installed easily on the 40-pin GPIO header. Also the provided 2200 mAh battery fits in the case. The Raspberry keeps powered up to approximately two hours in case of system power failure. 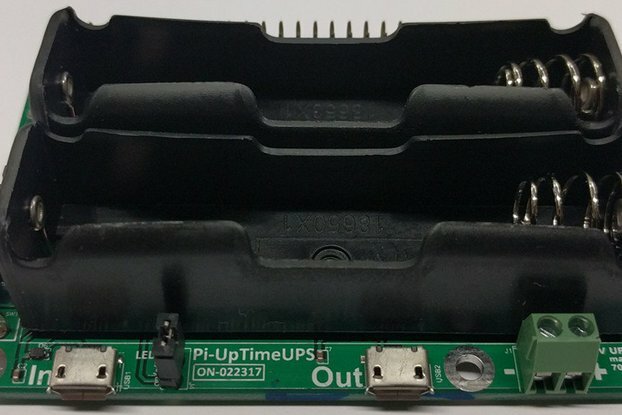 Pi-Zero-UpTime: UPS for Pi in Pi-Zero size.